Let’s face it, most people if not all spend a lot of time on their smartphones today as compared to the previous years. With the advancements in Android smartphones, people look into purchasing the latest devices that will provide them with better efficiency. Furthermore, Smartphone’s have brought about significant convenience to its users as they are now able to access almost anything without too much hustle. Increased usage of mobile phones means that owning a car mobile charger is quite necessary. The car chargers come as life saviors in situations where you are on the road, and you need to power up your phone in order to use it. What we need not forget is as much as most of us focus on having the phone on, it is crucial to take measures to increase the lifespan of the battery. 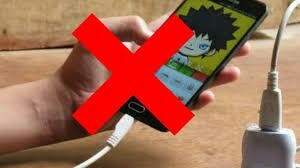 As much as it may seem tempting to use your phone while it’s charging, do not. You should give your phone enough time to power up by leaving it undisturbed until it reads battery full. Additionally, when you use it while it is charging, often there is a noticeable increase in the phone temperature. What does that mean? Simply put, it means that you are straining your battery which in the long run might end up affecting your battery’s lifespan. Always ensure that whenever you plug in your charger, you remove the phone casing. This is so because when the phone charges, you will notice an increase in the temperatures which are as a result of heat being trapped on the case. 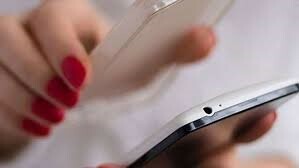 Removing the case helps the phone to charge at a comfortable temperature hence preventing any damage on the battery. Charging your phone even when not necessarily may affect the longevity of your battery. Do not wait for the battery levels to drop to 0% for you to charge your phone either. Also, avoid leaving your phone on the car charger for a long duration of time as it results in overcharging. Overcharging equals increased temperatures which equal damage in the batteries charging system.